A dense fog canopied the whole national capital region on the morning of Day One of 2018 and the visibility dropping below 50 metres. 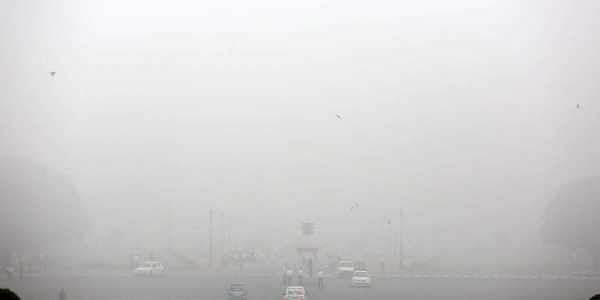 NEW DELHI: Operations at the Indira Gandhi International Airport (IGI) Delhi resumed after remaining suspended for a few hours in the wake of a dense fog canopying the whole national capital region on the morning of Day One of 2018 and the visibility dropping below 50 metres. Many flights, however, continue to be delayed at the time of filing this report. Earlier in the day, low visibility led to the cancellation of one flight and rescheduling of five domestic and seven International flights. Hundreds of passengers at several railway stations in north India were also left stranded after multiple trains got delayed due to the thick fog Delhi woke up to on Monday. As many as 56 trains were delayed, 20 were rescheduled and 15 were cancelled, according to CPRO, Northern Railways. Meanwhile, the Air Quality Index (AQI) at Delhi's Shadipur was recorded at 332, Siri Fort at 388 - both falling under the 'Hazardous' category. AQI at ITO was recorded at 182 ('Unhealthy' category) and Dwarka was at 257 ('Very Unhealthy' category). Visibility levels at the Delhi Airport had gone below 50 metres on Sunday morning too.